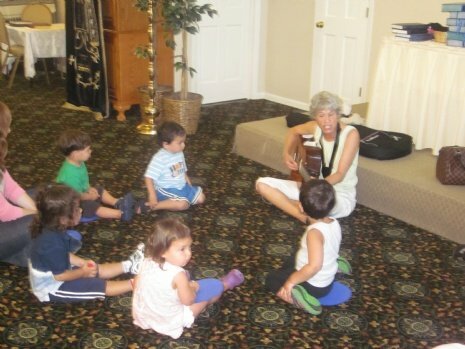 At Chabad Preschool our objective is to create a warm, healthy and happy environment where young children can grow and develop emotionally, socially, cognitively as well as physically. Our staff are recognized for their love towards the children and focused on the individual progress of each of their students. Our curriculum is based on the latest innovative ideas in early childhood education with a focus on skill, independece, self confidence and community. Aditionally, we endeavour to impart a love and flair for the beauty of our religion and culture, as well as nurture and develop faith and trust in G‑d. We hope to inculcate a love for Israel, all things Jewish and an involvement in the performance of the Mitzvot. In early childhood, the seeds of learning, Jewish identity, curiosity and caring are planted. Our program offers personal, social and academic growth. Young children develop at different paces. Our teachers are sensitive to the wide range of abilities and developmental levels within this age group. They offer creative activities that fit into the broad developmental continuum represented by the students. Each classroom has teachers who guide the children and promote active learning, problem-solving, discovery of friendship and exploration of their new, expanded learning world. The classroom is a community in which Jewish values are modeled and reinforced. The curriculum combines structured and unstructured activities that encourage young children's most important work-creative play. Every day is filled with art, music, stories, outdoor activity, and hands-on exploration.